I was thinking that nagi's father is in himegami's body because of kurotsubaki. Maybe kanzaki is also in yukariko's body because of kurotsubaki. And now himegami (not himegami?) wants the King's jewels possibly to resurrect yukariko. And hayate, not outright denying hinagiku,regarding his feelings for nagi was a kind of a treat, although small; because in so many chapters of being oblivious, this does serve as a treat. Kind of. Quite possible... but I don't think so. Hisui seems to know better and she doesn't seem to treat Himegami as the father of someone she knows at least -- or even Yukariko's husband. We'll see though. This Kanzaki person... perhaps she could be Yukariko, but... there doesn't seem to be enough info to know for sure. For now, I feel that it's unlikely given that she didn't seem to let on that she cared for Nagi even just a little. And yes, that scene with Hayate not denying what Hinagiku said reminds me of an old edit of the manga that's probably still floating around. Hinagiku confronts Hayate after he stranded her on that marathon race for Nagi's sake and asks him if he's a lolicon. Hayate thinks to himself: wait... me and ojou-sama? What is this feeling? Well, that was just a fan-made scenario, but it's good to see that spiritually in the canon manga. At least he's being forced to seriously consider Nagi as a romantic prospect now that he knows everything. Yeah. After watching ctmeoy, I became so obsessed with kurotsubaki that I always look for something in the manga to link it with the watch. I really wanted kananiwa to be dolly. Interesting stuff is happening in the current arc and I'm just waiting for things to turn out well. Maybe nagi will make hisui realise the villain that king midas is. I really can't believe hisui to be 100% evil after the flashback of their childhood days. I havent seen or read anywhere that some dead person, who has been admitted to be dead by all comes alive. Eeven if they do so, they dies showing some reason. yukariko but kanzaki 'cause the shawl here, is mainly stands for yukariko's symbol in this manga. It seems somehow related to her. Maybe kanzaki Is yukariko and she showed herself to carry some hidden message to nagi, by her usual stupid tricks. And where are nagi's kidnappers? Are they currently not after her as she not a declared heiress? Or the sp's are with her. I tried asking Hata about those SP's some time ago... he ignored me. It seems they and Tama have been lost to obscurity forever. Also, I think Nagi getting kidnapped so often was Hata's way of showing that she was a helpless damsel in distress back then. The current Nagi is no longer that helpless kid from before. She's probably still pretty much physically defenseless, but I think she might have her own way of protecting herself nowadays. I thought she will be with Tama while in distress. She got her after yukariko's death, so now too when she will be all alone, may go back to Tama. He is so caring to her after all. Then is it also applicable to Clause? yeah that slipped my mind. she is now out of radar of kidnappers. its really a minor detail but i hope we have some explanation to that. if i have to guess, she is now more self aware. no longer a ojousama. she doesn't grab any attention by traveling with a bunch of body guards and luxury cars. > Actually, I'm a lurker, first class. 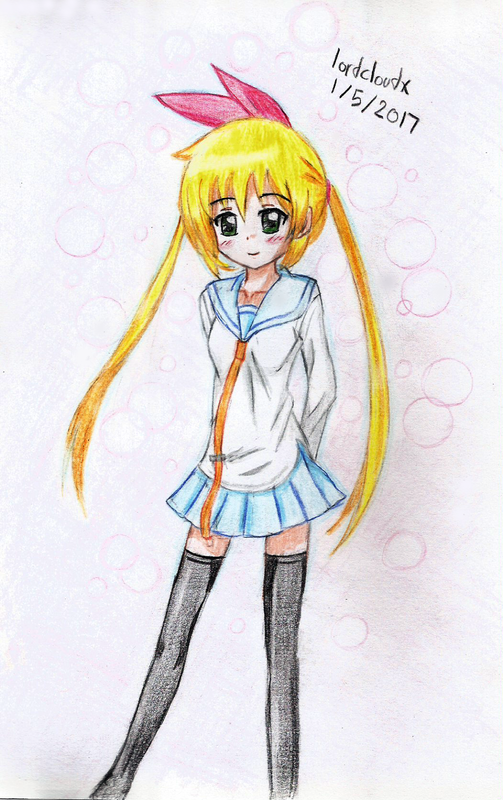 >It was just some girl named Kanzaki who happened to look a lot like Yukariko -- clothes and all. Which makes no sense to have a non-clone clone of Nagi's mother about, right down to her clothing, wealth, etc. To be honest, I wouldn't be surprised if Nagi did a time slip and met her mother before Yukariko met Nagi's father. To me, it did have some sense. It just made Nagi think a bit about having the mansion demolished/remodeled and about acting so casual about losing Maria... it also served as one of Hata's cliffhangers -- which he seems olbigated to end with for every single chapter :D.
Also, Kanzaki did mention that she had money (but I'm not too sure I got the context right), but she never claimed to be that rich. Also, what reason would she have to be called "Kanzaki" when she's clearly a Sanzen'in? > Also, what reason would she have to be called "Kanzaki" when she's clearly a Sanzen'in? Amnesia. :-) Or this is a vision powered by the King's Jewel. Hmm... possible, but then Nagi managed to make her way to a coffee shop and then a hospital -- where there were probably all sorts of people. I'd think a fictional vision would be limited to just Nagi and Kanzaki. There didn't seem to be any indication in this chapter that Nagi was dreaming. Personally, I like to apply Occam's Razor to any speculations I make. The less assumptions I need to make, the better. i know I'll be wrong with my theory but what the heck...maybe this kanzaki is the woman that himegami is in love with. she is somehow connected to kg and all. coz her showing up like that was leading upto something. 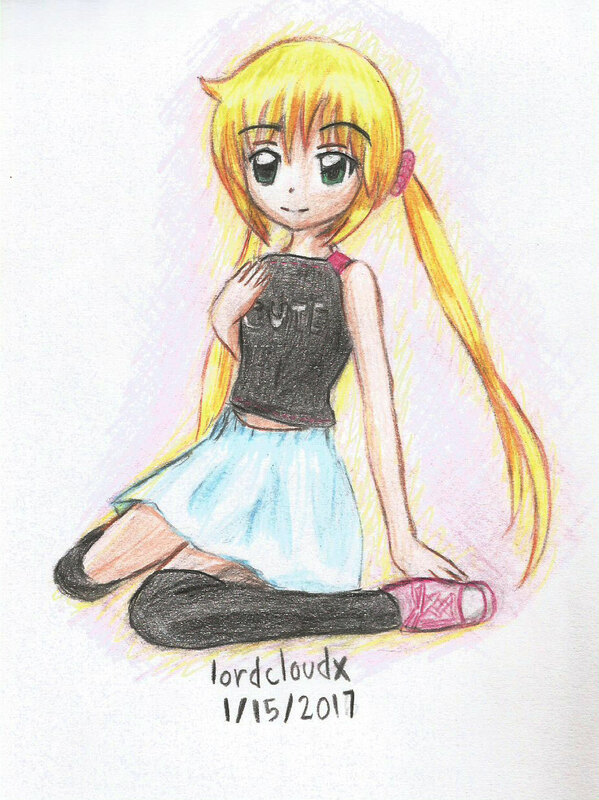 i keep saying it time and again that i love your fanart. thanks for sharing. If this would be then hisui won't comment about having a dead woman's photo. I wonder if nagi will visit kanzaki to lessen her loneliness. Hinaguku sounds too bold here!! I respect everyone's opinions. Everyone can have their own favourite ship/couple. It's just a little uncomfortable when I am in favour of a particular ship but there are so many against it. There can be many ships. If someone wants a ship to sail, I think it would be great to say why that ship should sail instead of why the other ship shouldn't. I don't think there can be any valid reason as to why hayate X nagi ship shouldn't sail. I'm really sorry if this offends anyone, I don't mean to, though. You said it. I could choose to dedicate every single review I write to badmouthing other ships, but I don't. I just find some of our rival shippers rather condescending nowadays. It is tiresome, yes, and more than that just a remarkable lack of awareness from all the people that never noticed that all the Nagi shippers just stopped posting a long time ago because it wasn't worth the hassle. 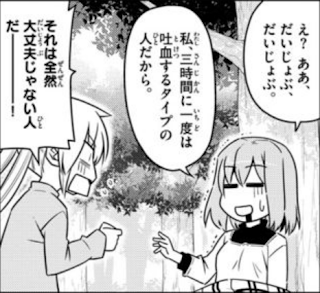 It's a shame too, because Hayate has been going through some fairly interesting development (for a change) these last few chapters that no one will talk about because they're too deep in the throes of ship denial. I mean, Hayate is being a complete idiot right now, but in an interesting way. Right now the dude is too embarrassed to even go home and face Nagi after finding out how she feels, but he's denying he has any feelings to Hina in one breath while "staking his life" on winning her the inheritance the next. He's a blatantly contradictory and self sabotaging bundle of nerves and emotions right now, Hyping himself to fight to the death for Nagi by, uh, doing something that'll ease his guilt just enough to ditch her forever. It's not rational, and I'm pretty sure we're supposed to be noting how hollow those constant declarations of his are becoming. He's been completely on tilt since the start of this arc, which not coincidentally kicked things off by his getting that first look at Nagi's manga. Though arguably, you can roll things back one arc prior, to Hayate admitting to Sakuya that he felt something was missing/off in his relationship with Nagi, but instead of confronting that and figuring it out he blatantly overcompensates for his insecurity by telling Nagi he'll be her butler even without the debt while secretly planning to quit down the road. That "Fake Butler" comment to Chiharu didn't come out of nowhere. Lets not even talk about his deranged plan to open the gate by hurting himself and one of his friends by using them, again, supposedly for Nagi's sake but not really. But no, Hina made pretty much the same observation about his obsessive behavior towards Nagi that almost every other important girl (Including Hina, earlier in the manga.) already has and that's outrageous somehow. That said, the whole Yukariko/Kanzaki thing, barring some hidden depth later was dumb and the blatant fake-out wasn't worth the small point made to Nagi. Great points... and reading this post just made my day. It's not that I'm insecure about my ship, but it does get rather tiresome when every place else you look where an English discussion about this manga is going on (except 4chan, surprisingly), everyone is just posting (for lack of a more appropriate term) butthurt comments bashing the Hayate x Nagi ship. Hayate has always been evasive about his feelings towards Nagi -- and now yeah, now he doesn't even want to face her anymore after learning about her true feelings for him -- which he had a pretty long time to think about ever since he saw her manga. I'm also still in doubt as to what Hayate thinks Nagi's feelings for him really are. I hope he doesn't think it's just a simple crush that she can move on from pretty quickly. Given that he thinks having Maria stay with her instead of him -- this seems to be the case (which makes me want to punch his face in)... but I'm sure he'll get what's coming to him eventually. That slap from Chiharu was nowhere near enough. I think it's going to take the shock of seeing Nagi in real pain because of his own actions for him to finally come to terms with how he really feels about her. Like you said, every important girl in his life has already noticed something different about him when it comes to Nagi. I think that at this point, what really needs to happen is that Hayate has to prove himself worthy of Nagi's love for him rather than the other way around... but first, he has to accept his own feelings -- which he's so vehement about denying. 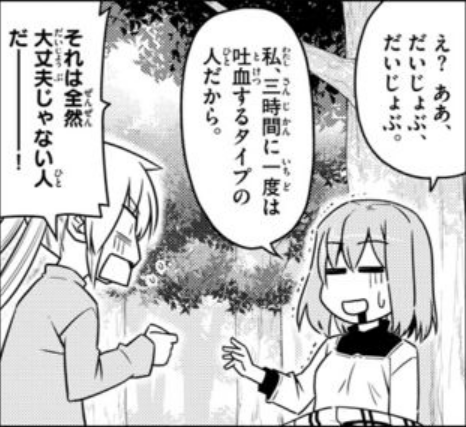 Right now, I'm almost tempted to believe it might be Hayate who'll have the explosion of negative emotions -- but perhaps Nagi's moments of self-doubt in the previous chapter and in this one were meant to really cement her role as being the one to open the path. Without those moments, I'd be inclined to believe that she'd forgive Hayate quickly if he told her the truth right now and perhaps Hayate would finally look her way at that moment and realize she's more than the child he still wants to think she is. So yeah, the Yukariko/Kanzaki thing seems pretty pointless right now, but it can still be used later. I really can't believe any of the crack theories out there with too many assumptions until I see more compelling evidence though. Finally, even if the explosion of negative emotions happens, I still want Nagi to have one more moment of awesome before the story ends... I'm sure Hata won't disappoint in this regard. Early ch. 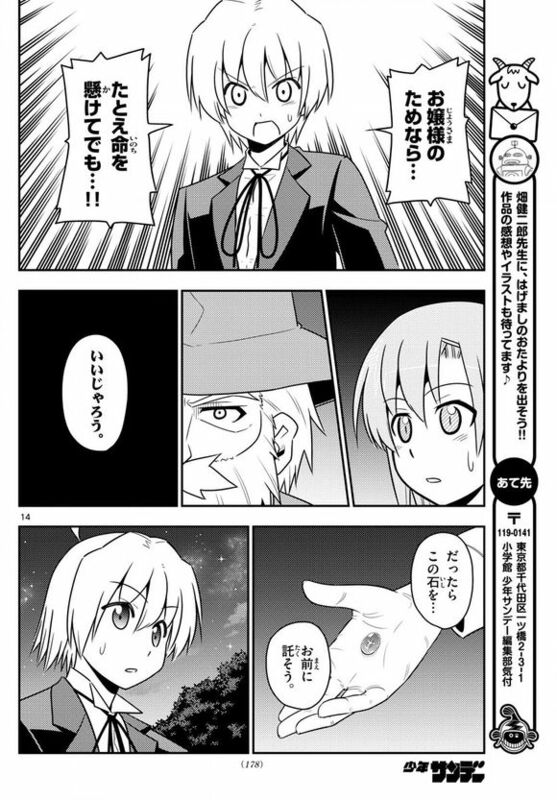 557 spoilers indicate some negotiations between Himegami and Hayate -- also, Hina has a plan. Meanwhile, Nagi is alone with Maria and muses how it was fun for awhile with just the two of them after Himegami left and before meeting Hayate. Maria asks her if she wants to do something fun right now. In fairness though, these type of toxic shipping wars in the english speaking anime community aren't really limited to HnG or Nagi specifically. I almost feel like every manga/anime/LN with any kind of romantic plotting is plagued by a bunch of people rabidly shipping some secondary character and getting butthurt when she inevitably loses. You could go back decades and count on one hand the number of romcoms that bowed to fan pressure in deciding the final pairing but yet somehow the outrage is always fresh. Haven't had much experience with communities. I used to stay out of the fandom for most anime since I was one of the people resorting to trading fansubbed anime via DVDs/VCDs back in the late 90s to early 2000s. My dial-up wasn't even good enough to stay online for very long. Actually, it might also be because the fandom was scattered just about everywhere back then and it wasn't as easy to scout out where they were in every corner of the internet when you had a geocities page or a free phpbb/invision forum everywhere claiming to be the "official headquarters" of a particular series. I do see some similar shipping wars in Nisekoi which I've recently started on (after spoiling the ending for myself by reading the final chapter of the manga). I think HnG is one of the few series where the supporters for the main ship (I mean Hayate x Nagi, of course) never really actively attacked other ships though -- meanwhile, everyone else seems to feel it's fit to keep attacking the Nagi ship every chance they get. You'd think they'd get tired of it at some point. Nagi may not fire Hayate after knowing the truth. When she was walking endlessly at mangaka arc, she did not blame him for not being by her side but was extremely thankful to him. She was not angry over him for not denying Ruka too. She said her feelings are not based on just that conversation. It is nagi's fault too. Though that time she didn't know anything, she have had enough time to think that he cannot confess while eagerly hiding from the yakuza. If he could do so that time, then he had no reason to deny Ruka for his debt. She atleast knows how misunderstandings are attracted to him. In CTMEOY , she said couple faces many diversities but they can overcome it.. Or something like that. This may be applicable here. She also would not want to bid him goodbye after some bitter talk. Neither will want to ruin his safety and happiness by keeping away from the sanzenin. unless she fires him to prevent to hear about leaving from the mouth which swore to protect her numerous times. 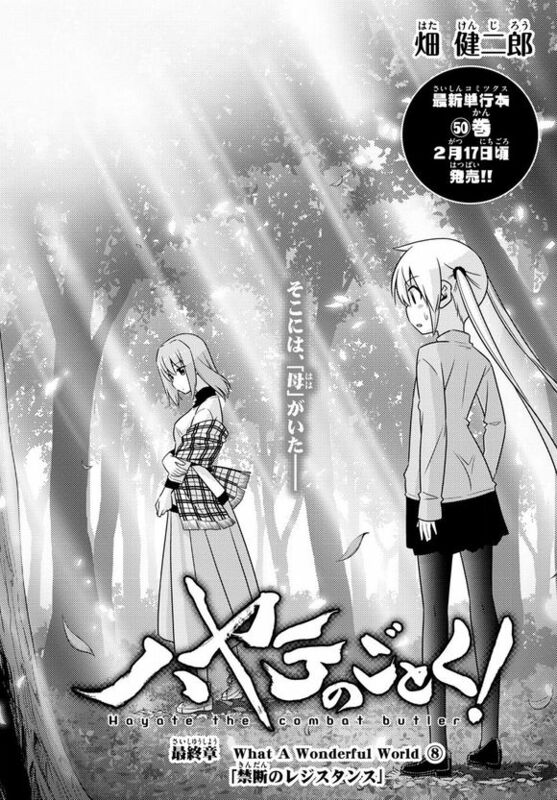 I think the author right now wants hayate X nagi ending. Even if that doesn't happen, I shall enjoy the manga right now and not be hostile towards other shippers/whichever ship will win. Because in hirunaka no ryuusei also, my favourite ship didn't win but it still was a beautiful manga nevertheless and worth reading. It didn't make me hostile towards the ship that won. I almost share the same sentiments, but I'm definitely going to be very bitter if Hayate x Nagi doesn't happen after watching everything unfold. C'mon, Nagi really deserves a break after all this time. I'm not going to take it out on the other ships, but that won't prevent me from feeling bitter. I'm sorry if I'm a bother. I just have some thoughts about hayate X nagi pairing which I'm pretty sure everyone knows already and is tired of hearing. But I have to express myself and I find this place to be the best place to do so. Those who support hayate X nagi all know that we are the least in number and majority supports other ships. That means we are in the minority. But that also means that we see something special about hayate X nagi ( apart from the fact that he's her butler ) that makes us want to root for them. It's true that we, as readers, haven't found anything on part of hayate that might be called romantic love towards nagi. On the other hand nagi has clearly shown time and again how much she loves hayate. However, like novels, short stories and drama, manga is also fiction which draws the reader into it and the author definitely wants to convey more than is clear at first glance. 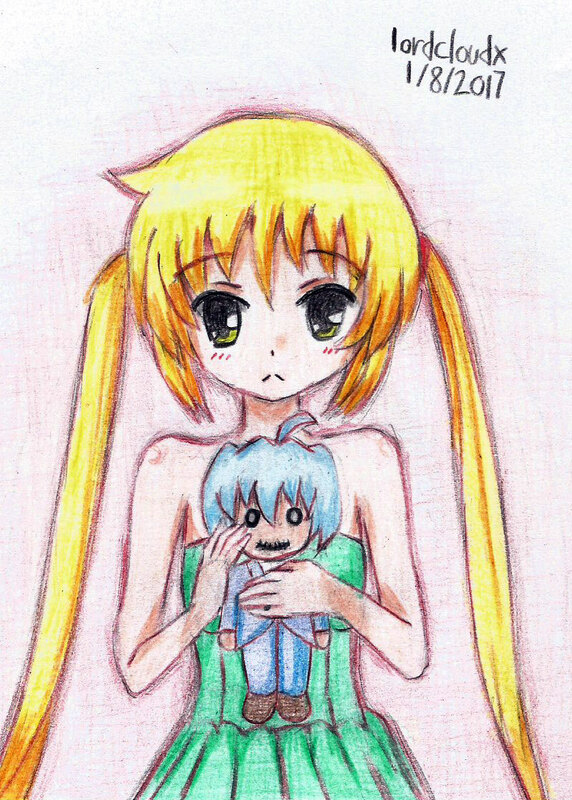 I remember during the initial chapters of the manga, hayate and nagi had gone fishing, they were in a boat and hayate was blushing and thinking to himself, while holding nagi - wow, she's so light, it's like holding a kitten. I think that does count as one of hayate's overt responses towards nagi. If only as a kitten, but he did find her appealing. Now onto romantic love. For a while if we put aside nagi, hayate did spend many romantic moments with the other girls. However, all those moments have been kind of similar, I think. It is hard to understand that among these girls whom does hayate prioritize more. Whom will he save if all of them are in danger? Whom does hayate think is the most important to him? Ok, let's assume that he will save Athena because of the 10 year thing, the history between them ( again, I'm very sorry, I don't want to offend anyone. ) If we see it like this that hayate meets her again after 10 years and saves her, indeed it is very romantic. But what about this? 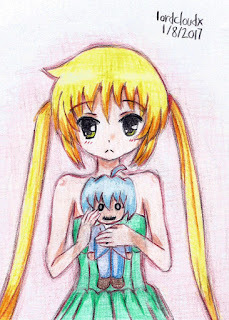 Hayate also came to save nagi when she was 5 years old. And when hayate himself was 6 years old, yes, he met athena but with the help of a King's jewel which was given by Mikado, nagi's grandfather. I think there was always a possibility that hayate could've met nagi when he was 6 years old. Despite all the romantic moments that hayate spent with the girls, he never forgot about nagi and has himself declared her to be the most important person in his life. Initially the reason was that she had cleared off his debt but I think gradually, the reason has become different. And I think if he does end up with someone other than nagi, then it'll be unfair to the other girls ( again excluding nagi ) as well because of all the romantic moments spent with them. At least I couldn't differentiate between the other girls in terms of their importance in hayate's heart - they all stand on equal level. For hinagiku also, hayate has said that it would be a dream come true if he dated her. He was close to confessing to Maria. Aa for ruka, well, everyone already knows. "the author definitely wants to convey more than is clear at first glance." -- BINGO! I've been saying it for years. This manga is all about implications and not concrete proof. It's the very essence of Hata's writing style. Even Wataru x Saki was softly implied. Until now, there's no actual concrete proof of them being all lovey dovey for each other, but it's now a certainty that they're a canon couple in the series. Why can't the same happen for Hayate x Nagi? Especially since Hata went all the way to use Wataru x Isumi as an analog for Hayate x Athena -- Wataru echoing the same lines that Hayate and Athena used for his final confession to Isumi, "I loved you." And you should never feel like you're being a bother here. I just love to read these kinds of things. After all, as that rather familiar anon commenter said above: these are the types of things we should really be talking about. If this place has de-facto become the unofficial HayaNagi headquarters, then I'm honored.